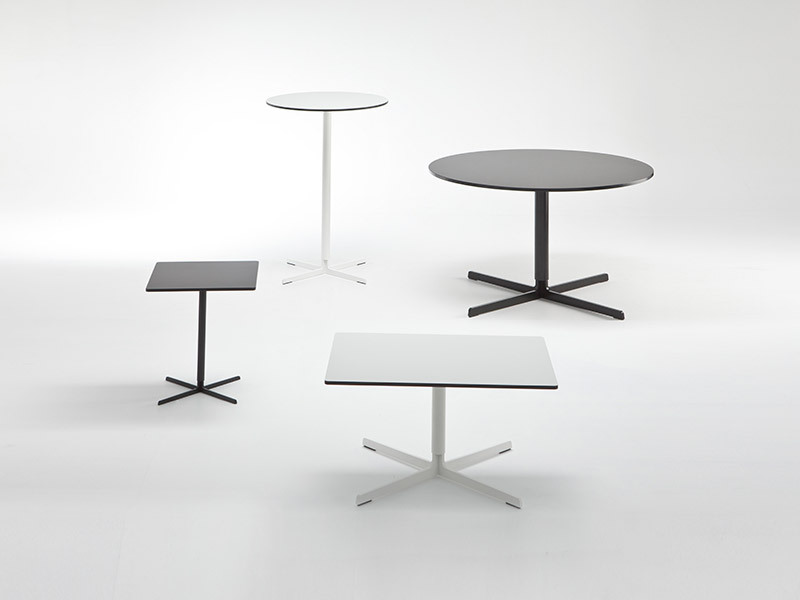 Demountable table system with adjustable leveling. 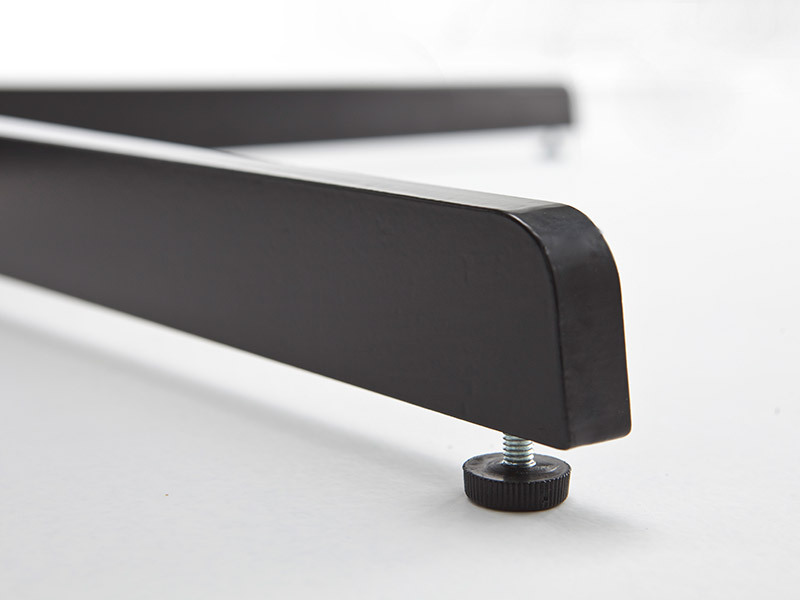 Fabricated in steel and cast aluminium with a wide selection of powder coat colours and tops. Indoor and outdoor.